Department of Health and Human Services unleashes new structured data sets as it encourages the developer community to build new health IT applications to improve patient care. WASHINGTON -- Marshaling technology to reshape the nation's healthcare system might be generously described as a gradual process, but top officials at the Department of Health and Human Services (HHS) on Monday spoke exuberantly about the transformative impact that will arise from the release of new stores of medical data. HHS Secretary Kathleen Sebelius offered brief remarks to kick off the Health Datapalooza conference, an event focused on bringing transparency to the medical industry, where she took the occasion to announce that the department is making available a host of new data about hospital pricing, Medicare spending and other aspects of healthcare. HHS is encouraging researchers and developers to leverage that data to build new applications and technologies that could lower costs and improve patient care. "That's a critical part of this story," Sebelius says. "We're a great believer that unlocking our data, turning it over to those of you who know how to formulate that data for policy makers and providers, is the best possible thing to do, and we're going to continue to do that." In broad strokes, HHS's efforts to release new data sets mesh with the priority that the Obama administration has set for the entire federal government, recently articulated in an executive order calling on departments and agencies to begin producing data in an open, machine-readable format that developers could tap into to unlock the value from the reams of information the government oversees. "One of the things we're doing to fuel more private sector innovation and discovery is to make vast amounts of America's data open and easy to access for the first time in history. And talented entrepreneurs are doing some pretty amazing things with it," Obama said in a statement. Sebelius describes the process at HHS as converting "lazy data" into "active data" that can tell a fuller story that could help achieve a higher quality of patient care. A major thrust of the health IT movement involves the digitization of medical records, an effort to create a holistic picture of a patient's medical history that would be accessible to the various providers that patient visits. Included in the data released on Monday was a new set information about the adoption of electronic health record (EHR) systems among some 146,000 doctors, sorted by state, specialty and a statement of progress those doctors have made in meeting the certification requirements set by the Centers for Medicare and Medicaid Services, one example of the type of open data policies at HHS that Sebelius hopes will help the department "leapfrog over years and decades of inaction." "We're at a very exciting juncture in the health system. The adoption of electronic medical records is transforming care delivery and payment delivery," she says. HHS is also co-sponsoring the "Code-a-Palooza" contest in which teams of developers will compete for $25,000 in prizes in a marathon coding session at this week's conference, using a set of Medicare data to build applications that primary care providers could use to improve the health of their patients. 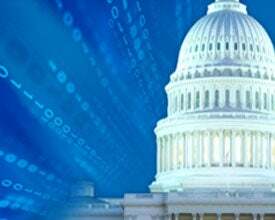 "The world now recognizes that the critical component to driving transformation in a system that badly needs disruption and transformation is data," says HHS CTO Bryan Sivak. Joining the department in sponsoring the coding contest are Socrata, a company offering open-data services, and the Health Data Consortium, the group that organized this week's conference. The consortium grew out of the open data efforts that began in earnest at HHS in 2009 under the leadership of Todd Park, then the CTO of the department who now serves as CTO for the federal government. That outpouring of data has created the foundation for upwards of 1,000 new applications and companies in the burgeoning field of health IT, according to Bob Kocher, co-chair of the Health Datapalooza planning committee and venture partner at the VC group Venrock. "More data has come out of HHS in the last four years than it has in the entire history of HHS--high-quality, electronically downloadable, machine-readable data that you can do things with," Kocher says. Steven Krein, the other conference co-chair and the CEO of StartUp Health, says he sees a constellation of factors--some technical, others not--rapidly converging to usher in "the most amazing decade in health care." As a policy matter, there is the implementation of Obama's healthcare reform law, which, along with other legislation, includes incentives for the adoption of health IT systems. But then, too, new health technologies become all the more essential in the face of the steady rise in medical costs and the onset of chronic conditions that will attend an aging population, according to Krein. "When you combine those two conditions with mobile and digital health and health data--and the fact that we're living in the golden age of entrepreneurship, and that access to capital, access to experts and access to data is unlike ever before--you can see that the next decade is set up for all of us to continue to lean in," Krein says. "The commitment from the government is real. The impact is real. The commitment from the entrepreneurs is real," Krein says. "The commitment from the partners and the customers is real, and it's happening."